"The character development is superb. Hard decisions are made by realistic characters. Are these really just characters in a book? They seemed so real to me. In my mind's eye, each character has a face, a body, a voice." He introduced the tall lawyer, who reminded Sid of Jimmy Stewart in It’s a Wonderful Life, as Brainerd Hersholt. The smaller man was Hardy Vandenberg. As Sid learned, Hersholt’s movie actor look wasn’t far off course. A Yale Law School graduate, he was a descendant of famed movie actor Jean Hersholt, who was honored annually by the Hersholt Humanitarian Award given at the Oscar ceremonies. A graduate of Duke Law School, Vandenberg was the son of an old friend of Arnie Bailey. Secondary characters with important roles in the story get the full treatment, almost as much as lead characters. This can include family backgrounds, education, employment history, manner of speech, and various other characteristics. Sid Chance is well covered, of course, but I gave him a part-time helper who is as unique as any character I've created. Jasmine (Jaz) LeMieux is a wealthy businesswoman who enjoys assisting in particularly difficult investigations. Many readers say she's their favorite character. Jaques LeMieux, a French Canadian, came to Nashville after the Korean War. Starting with a single truck stop, he built the business into a thriving nationwide chain of travel centers along the interstate highway system. He married an aristocratic Southern belle who disowned Jaz when the headstrong girl, a star basketball player, quit college in disgust and joined the Air Force. After completing a tour with the Security Police, she trained under a former Golden Gloves standout and became a champion woman boxer. Unable to make a living at the sport, she joined the Metro Nashville Police Department. After her mother died and her father was nearly killed in an accident, Jaz moved back home and helped get him healthy again. She became Jaques LeMieux' assistant and got an MBA degree. When he died, she took over as majority owner and chairman of the board. Some authors paint detailed physical descriptions of their characters. I prefer to give enough for a general idea but leave it to the reader to create his or her own image. Sometimes it's done with a comparative comment like the detective who had a Clark Gable mustache. The main point is to provide enough background so the readers feel they know the character as a real person. The early nineties was an exciting time, a time of change, a time when controversial concepts suddenly lost their validity. Just before the decade opened, one of the Cold War's major symbols, the Berlin Wall, was reduced to a pile of concrete rubble. By late 1991, the vaunted Soviet Union had crumbled apart as well. Meanwhile, the United States showed its muscle in the Middle East by leading a coalition that saw Desert Storm stop Iraqi dictator Saddam Hussein in his tracks. It appeared to be a heady time for America and her allies, but problems rumbled beneath the surface like precursors of an earthquake. The break-up of the Soviet Union and the demise of communism in the Russian sphere stripped many autocrats of their power and left them searching for ways to reclaim their lofty status. The U.S. venture in Iraq, sending a large army halfway across the globe in record time, put strains on the budget, prodding Congress to call for slashes in military and intelligence spending. Financial oligarchs, international bankers and corporate heads who felt their world view superior to the insular perspectives of most people, saw the disorganization of the former Soviet states as a hindrance to world order. Something needed to be done to assure the pieces of the puzzle would be assembled in the fashion they desired. This outlook for the period of transition in the early nineties provides the backdrop for my trilogy of Post Cold War political thrillers featuring ex-FBI agent Burke Hill, his wife Lori, and a cast of colorful characters from around the globe. Here are the covers produced by talented artist Stephen Walker. The first book, Beware the Jabberwock, shifts from Israel to Hong Kong to the eastern U.S., with much of it centered around a small island off the Florida Gulf Coast. The Poksu Conspiracy, second in the series, alternates between the Washington area and South Korea, with side junkets to San Franciso and Chiangmai, Thailand. The final volume, titled Overture to Disaster, involves two subplots that feature a Special Operations helicopter pilot and a criminal investigator from Minsk, Belarus. 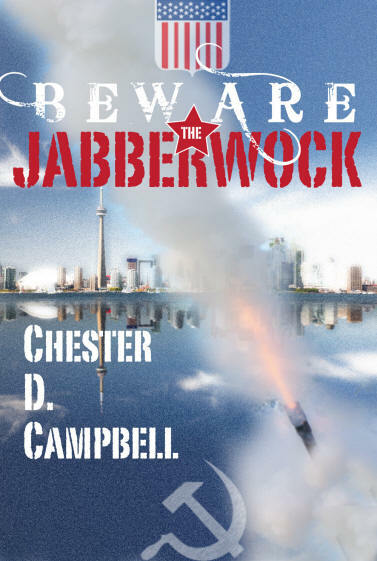 Beware the Jabberwock is available here in paperback or ebook. The Poksu Conspiracy can be found here as an ebook. 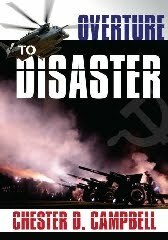 Overture to Disaster will be published in March. Welcome! What is a blog hop? Basically, it’s a way that readers can discover new authors, because with bookstores closing and publishers not promoting new authors as much, we need to find a way to introduce readers to authors they may not see in their local bookstore. Here you have the chance to find many new authors. You’ll get information about me, what I’m working on now, and THE POKSU CONSPIRACY, the second book in my new thriller series, of which reviewer John R. Lindermuth wrote, “Campbell's tale is well-drawn with richly defined characters, enough action to satisfy even the most jaded of readers and an absorbing plot. Highly recommended.” Also see links below to other authors you might like to check out. I’d like to thank fellow author Jaden Terrell for tagging me to participate. Click the link below to find out about Jaden’s latest book, A CUP FULL OF MIDNIGHT. In this particular hop, I and my fellow authors listed below, in their respective blogs, will answer ten questions where you get to learn about our current book and work in progress as well as some insights into our process, from characters and inspirations to plotting and other decisions. I hope you enjoy it! Leave a comment and share your thoughts and questions. 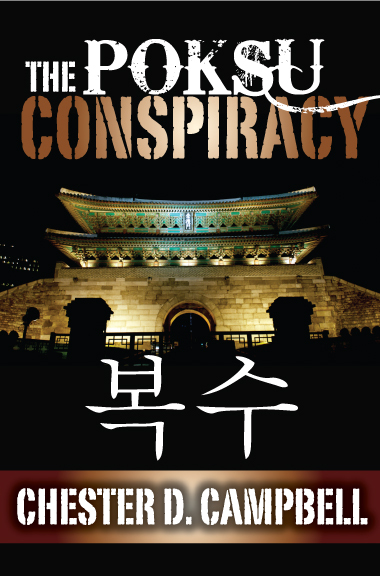 My newest book is THE POKSU CONSPIRACY, second in my Post Cold War political thriller trilogy. I'm currently finishing work on the third, OVERTURE TO DISASTER. I was stationed in Seoul during the Korean War and returned for a visit in 1987 with my younger son and his Korean wife. At the time, South Korea was led by a succession of army generals. I thought about what might happen if the leadership decided to dismiss American heavy-handed guidance and pursue a nuclear arsenal in secret? I call it a Political Thriller. I've seen few movies in recent years, but I'd say Mel Gibson or George Clooney would make a good Burke Hill. Keanu Reeves would probably work for Korean Detective Yun Yu-sop. That's as far as I can go. Close calls and deadly confrontations stalk Burke Hill, clandestine director for a Washington PR firm that's a CIA spinoff, as he seeks to find the truth about a secret agreement for Israel to help South Korea develop nuclear weapons. Published by Night Shadows Press, a small independent, the book is currently available only in ebook format for the Kindle. The manuscript was written originally in 1991 and, with all the research I did, took nearly a year to finish. Tim Hallinan called it in the territory of Ludlum and Trevanian, but with more character development. At the end of the first book in the trilogy, BEWARE THE JABBERWOCK, I hinted that my protagonist, Burke Hill, was going to hear more from the Director of Central Intelligence. I decided to have him join Worldwide Communications Consultants, a CIA spinoff, a legitimate PR firm with a black operations side. Since I had spent time in the Far East in recent years, Korea seemed a good place to set my story. The other main character besides Burke Hill is Capt. Yun Yu-sop, a homicide detective with the Seoul Metropolitan Police Bureau. Much of the story is told from his point of view, making it partly a Korean police procedural. During my research, I corresponded with an official of the American Embassy in Seoul, who supplied me with a great deal of information on police organization and procedures. Below are authors who will be joining me by blog next Wednesday, with a little information about their writing. Be sure to bookmark and add them to your calendars for updates on WIPs and New Releases! Happy Writing and Reading! 1. Pat Browning is the author of ABSINTHE OF MALICE, a Penny Mackenzie Mystery. Robert Fate, author of the Baby Shark series, wrote: "Penny Mackenzie is marvelous. I want more of her. As the clever, reluctant, self-effacing heroine of Pat Browning’s fast paced and engrossing tale of murder and love in a small town, she is unforgettable." 3. Easrl Staggs is the author of MEMORY OF A MURDER and SHORT STORIES OF EARL STAGGS. Of MEMORY OF A MURDER, Midwest Book Review wrote: "The plot is engaging, the action nonstop, and the ending quietly satisfying."